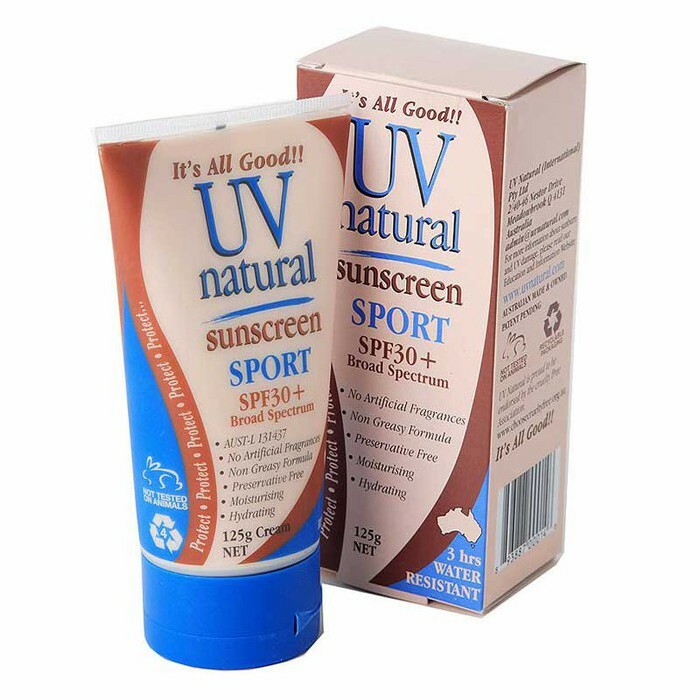 The UV Natural Sports Sunscreen 30+ provides broad spectrum UVA and UVB protection. Specifically developed for outdoor sports this is sweat and water resistant for up to 3 hours. It uses 24.8% Zinc Oxide to form a non whitening physical barrier from the sun combined with skin nourishing ingredients including Macadamia Nut oil, Natural Vitamin E, Australian Sandalwood and Patchouli essential oils. Made in Australia. Gluten-free. Vegan. Certified Cruelty Free. 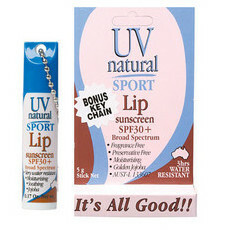 UVA and UVB protection. Green Tea, Lavender, Sandalwood, Zinc Oxide. 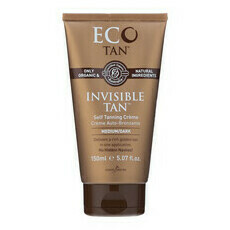 This is by far my favourite sunscreen from the natural range. 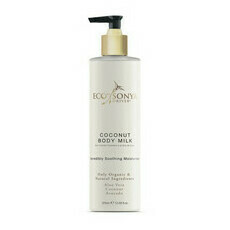 it smells beautifully and feels very moisturising as well will all the beautiful and nourishing oils in it. Easier to smear on than most natural sunscreens. Amazing sun protection. I usually have sensitive skin so this works so well and soft on my skin!